Posted by geoconger in Church of England Newspaper, Church of Ireland, Development/Economics/Govt Finances. High rates of unemployment are damaging the character of the next generation of Europeans, the bishops of the Church of Ireland said on 5 June 2013 in a statement released ahead of the G8 Summit in Co. Fermanagh. Prime Minister David Cameron will host the prime ministers, chancellors and presidents of Canada, France, Germany, Italy, Japan, Russia, the United States and the European Commission at the 39th G8 summit at the Lough Erne Golf Resort in Enniskillen on 17- 18 June 2013. The agenda of the annual gathering of world leaders is set by the host country. In her speech at the state opening of Parliament in 2012, The Queen stated “my government will use this opportunity to promote international security and prosperity.” Other items on the agenda include food security, nutrition, and sexual violence in armed conflict. “The pace of economic recovery is so slow that, unless some special measures are made to cater for this generation, they may well be doomed to spending the most creative and productive years of their lives in a sterile no man’s land of economic inactivity,” the bishops said. Posted by geoconger in Church of England, Church of England Newspaper, Development/Economics/Govt Finances, Politics. The Second Church Estates Commissioner and the Bishop of London have asked the Chancellor of the Exchequer, Mr. George Osborne, for a “full exemption” for churches on the government’s plans to impose VAT on church alterations. The chancellor had given a “commitment to ensuring that listed places of worship would not be adversely affected by the Budget proposal, and I am sure that he will do everything he can to deliver on that commitment,” Mr. Baldry said. The Church Commissioners were “pushing for full exemption. The listed places of worship scheme is welcome, but it is very volatile and uncertain at the moment because people are never quite clear how much they will receive back under the scheme, he said. Mr. Baldry and Bishop Richard Chartres “made it clear why we believed it to be in the best interests of the community to continue to exempt alterations to listed places of worship from VAT. We gave the Chancellor a full written submission” and he “undertook to consider our submission carefully and made clear the Government’s commitment to ensuring that listed places of worship are not adversely affected by the Budget proposal. I anticipate a further meeting with the Chancellor and the Exchequer Secretary in due course,” the Second Church Estates Commissioner said. The Chancellor of the Exchequer has promised to reimburse listed churches for the costs of VAT for church improvements. Speaking in the House of Lords on 24 April 2012, Treasury minister Lord Sassoon confirmed that an agreement had been reached the previous day by the Bishop of London, the Second Church Estates Commissioner and the Chancellor, Mr. George Osborne. “We accept, having seen the churches’ numbers, that the VAT change will indeed be more than £5 million and that we need to commit more money, and discussions will continue next week to look at what the projected numbers and our commitment should be,” the minister said. Lord Sassoon further stated that projects already underway would not be subject to the tax. In last month’s Budget, Mr Osborne announced a 20 per cent tax on alteration work on listed buildings. The Treasury said the new tax would be imposed to remove a “glaring anomaly”, where alterations to listed building were exempt from VAT, but repair and maintenance work was not. It was also couched in terms of fairness, with Coalition spokesmen saying it would prevent the owners of listed mansions avoiding paying VAT if they added a swimming pool. However, the plan would also tax churches. The Bishop of Bath & Wells asked Lord Sassoon whether the government had thought through the implications of its decision, suggesting that it was at odds with its Big Society agenda. “Of the 563 churches in my diocese, 503 are listed-some 89 per cent. Their upkeep relies almost entirely on voluntary fundraising and support from their congregations. In promoting the big society, many wish to open those buildings to wider community use. What incentive does the minister believe is being created for congregations to do so by making them pay VAT up front only to claim it back through a scheme that is not adequately funded,” the bishop asked. However, a spokesman for the Archbishops’ Council told ThirdSector the reimbursement scheme was not ideal. “As a sort of concession it seems the Chancellor has said expenditure on alterations, as well as repairs, will now be eligible for this scheme, and it will have some extra money,” he said. “But it’s pretty easy for the government to get rid of public expenditure. This scheme has already got less generous since it was introduced. It’s already being used pretty much at capacity,” the spokesman said. Posted by geoconger in Church of England, Church of England Newspaper, Development/Economics/Govt Finances. The Government’s plan to end the VAT exemption for listed building alterations will cost the Church of England an additional £20 million per year, the Second Church Estates Commissioner told Parliament last week. In the Diocese of Lichfield the proposed changes would add a further £240,000 to its costs of adding “toilets and facilities for the disabled” and renovations to the Close. Of Lichfield’s 450 buildings, 315 were churches who would be affected by the changes. “No specific figures are available for projects in 2012, but across the diocese a conservative estimate of over £300,000 was spent on alterations to parish churches in 2011,” he said. Posted by geoconger in Albany, AMiA, Anglican.TV, CAPA, Church of England, Church of South India, Civil Rights, Development/Economics/Govt Finances, Women Priests. This week Kevin and George take on the year 1662 and the missing 2500 Anglican Clergy. Also, your hosts talk about CAPA and DEPO and how they are relevant or no longer relevant today. Peter Ould covers last weeks events in the Church of England. AS Haley and Kevin discuss Obamacare and the 13th Chime of the Clock. Oh… and how many AMiA parishes are moving to PEAR or ACNA? Posted by geoconger in Church of England, Church of England Newspaper, Development/Economics/Govt Finances, Youth/Children. The Bishop of Ripon and Leeds and a Conservative MP have exchanged sharp words over a letter criticizing the government’s welfare reforms. The member for Skipton and Ripon, Julian Smith, told the Ripon Gazette that Bishop John Packer was ignorant of economic reality and out of touch with ordinary people. Bishops should stay out of politics, Mr Smith said, and focus on topics with which they were familiar. On 20 November 2011 the Observerprinted a letter signed by Bishop Packer and 17 other bishops calling for amendments to the welfare reform bill before Parliament that would cut aid to families with children. Mr Smith said he was “stunned” by the bishops’ intervention into the welfare reform debate. “It shows a complete disconnection with the reality of how hard people and businesses are having to work at the moment to pay the taxes that fund the benefit system and how popular the Government’s decision to cap benefits has been amongst the majority of voters,” he said. Criticism of government policy was well within the Church’s competence, Bishop Packer said. “Politics is concerned with the welfare of people, and the Church is concerned with the welfare of people. So it is important the Church is involved in political debates that could affect the welfare of thousands of children in this country. The Archbishop of York, Dr John Sentamu, has added his voice to the chorus of criticism of the proposed benefit cap. “I hope the Government will listen to the concerns that are being raised regarding the Welfare Reform Bill,” Dr Sentamu tweeted last week. “The Government must ensure that children, especially the most vulnerable, are protected from cuts to family benefits,” the Archbishop said. Posted by geoconger in Church of England Newspaper, Church of Nigeria, Development/Economics/Govt Finances, Politics. Church leaders in Nigeria have urged the government to cancel plans to cut the country’s national fuel subsidy, warning it will cause massive social unrest. However, the government’s proposal to remove price controls on refined petroleum products has won the backing of anti-corruption activists and foreign aid donors, who say the policy serves to distort the economy and enrich corrupt officials. While Nigeria is sub-Saharan Africa’s largest oil producer, the country’s four refineries are incapable of meeting consumer demand. Approximately 85 per cent of Nigeria’s refined petroleum must be imported from abroad, with the federal government spending an estimated £4.5 billion to subsidize fuel purchases. Successive Nigerian governments have kept diesel prices low as most small businesses and many private homes rely on generators to provide electricity as the national power grid is antiquated and unreliable. “Former President Yar’Adua was candid about the long-term impacts of the subsidy: ‘There is a very strong cartel in this country that is benefiting from the issue of subsidies and it has introduced colossal corruption within the system’,” Chatham House said. “The timing for removing fuel subsidy is very wrong,” the bishop said. “Removing it is a time bomb that is waiting to explode,” he warned. The future may see “major protests across the country if people do not feel any sense of participation in this process and see a damaging increase in the cost of their diesel,” Chatham House said. Posted by geoconger in Anglican Church of Burundi, Church of England Newspaper, Development/Economics/Govt Finances. The House of Commons International Development Committee has urged the Department for International Development (DfID) to reverse its decision to eliminate direct financial aid to Burundi. On 5 July 2011, Archbishop Bernard Ntahoturi of Burundi testified before the committee that cutting support to Burundi would make it an “aid orphan.” Burundi was one of the “poorest countries” in East Africa the Archbishop said and was “also coming out of a 15-year [civil] war.” In 2005, the country emerged from a tribal civil war that killed 300,000 people. The conflict left the country devastated, with the lowest recorded GDP per capita in the world, at $150 in 2008. Burundi ranks 166th of 169 countries in the UN’s human development index with 81 per cent of the population living below the poverty line. “I am worried,” the Archbishop said, as there were signs the conflict could reignite. “The people are not at peace. The signs that we see show that, if we are not careful, there might be another war in Burundi, because most of the young people who were demobilised do not have jobs. In its report, the committee stated: “We strongly question the strategic coherence of greatly increasing UK aid to the whole region while closing DfID’s bilateral programme in Burundi. “The money for an effective and efficient bilateral programme in Burundi could be found by very small reductions in the increases in funding of the other countries in the region,” it said. In 2010 Britain gave £13.7m to Burundi, supporting education, health, access to justice, and regional economic integration programmes. The decision to cut support followed a review of aid programmes instituted by Andrew Mitchell, the international development secretary. In March DfID announced it would reduce the number of bilateral aid programmes from 43 to 27. Burundi was dropped, even though DfID said it had “a compelling case for aid”. “The government has been clear from day one that our priority is to ensure that every penny of taxpayers’ assistance is directed where it has the most impact for poor people and offers best value for money,” the minister said in March when the cuts were announced. “As part of a set of detailed reviews, we took the tough but responsible decision that Britain is best placed to help Burundi through other routes to tap into the economic growth in the region and to boost trade with its neighbours. A country-to-country programme is not always the most effective way of providing support,” Mr Mitchell said. The director of the Anglican Alliance, Sally Keeble urged the government to accept the recommendations of the parliamentary committee. Archbishop Bernard Ntahoturi of Burundi appeared before the House of Commons’ International Development Committee urging a rethink of the Department for International Development’s (DfID) closure of its aid programme in Burundi. Cutting support to Burundi would make it an “aid orphan,” the Archbishop said on 5 July, as Western support for Africa has been cut sharply in the wake of the global economic downturn. Committee chairman, the Rt Hon Malcolm Bruce, the member for Gordon (Lib-Dem) opened the meeting asking if the Archbishop could explain why the British government would end support for Burundi’s poor. “Given the fact that Burundi has absolutely clear developmental needs, right across the spectrum by almost any criteria you care to select, why do you think the UK Government decided that it should bring the programme in Burundi to a close and, at the same time, increase the contribution it is making to all the neighbouring countries?,” Mr Bruce asked. The DfID has proposed ending its £12 million in aid to the East African nation. Archbishop Ntahoturi noted that “in Burundi is a lot of money” even though the total “given to Burundi by UK standards was relatively small.” It was nonetheless a necessary component in the democratic and economic redevelopment of the country. Burundi was one of the “poorest countries” in the East African Community the Archbishop said and was “also coming out of a 15 year war.” “We are still suffering from the impact and consequences of war” that ended two years ago, the Archbishop said. Sweden has “also withdrawn its aid, and other donors are thinking” of pulling out, the Archbishop said. “When the programmes are cut off, there is a void. That void will affect the wellbeing of the people,” Archbishop Ntahoturi said. The EU’s bailout is a moral as well as financial failure for Ireland, the Archbishop of Dublin said. On Nov 21, Prime Minister Brian Cowen announced that the Republic of Ireland had requested emergency assistance from the International Monetary Fund and the EU to stave off a collapse of the Irish economy. The European Union offered an €85 billion rescue package on Nov 28, with €50 billion to be used to finance the Irish state budget, €10 billion for bank recapitalization and €25 billion for banking contingencies, RTE reported. While the banking industry’s policies were one factor in the collapse, “lending recklessly” did not “mean people had to borrow,” Dr. Neill said. On Dec 7 the Irish parliament is expected to approve a package of tax hikes on income, alcohol, cigarettes and gasoline, an increase in university tuition fees and cuts to welfare and unemployment programmes, designed to cut €30 billion from the government’s budget over the next five years. The Irish churches have been largely silent so far, Dr. Neill said, as it was “particularly hard to comment on it at the moment because it is so party-political sensitive”. Mr. Cowen is expected to dissolve the government in the coming weeks, with elections expected no later than March. The Church of Ireland has issued a call for prayer and contrition in the face of the country’s economic meltdown. On Nov 28, the Bishop of Kilmore, Elphin and Ardagh, the Rt. Rev. Ken Clarke urged his diocese to meet the financial crisis with increased prayer and committed Christian service. “Be there!” “Show Care!” Take “decisive action!” And be in “urgent prayer!” for Ireland, Bishop Clarke urged his diocese. His plea comes amidst widespread economic and political unrest as the government of Prime Minister Brian Cowen appears ready to fall in the face of public anger over the country’s economic collapse. Last week Mr. Cowen announced he would dissolve the government after it passes the 2011 budget in December. The government’s junior coalition partner, the Green Party, has announced it would withdraw its support once the budget was in place. Ireland has been in an economic recession since 2008. Banking has been particularly hard hit, and on Sept 30 Ireland’s central bank said the cost of rescuing the banks would push the public deficit to 32 per cent of gross domestic product in 2010, from its present 11.6 per cent rate. A four year austerity plan was proposed by the government to bring the deficit down to three per cent by 2014, and last week European finance ministers and the IMF agreed to loan Ireland €85 billion. But on Nov 27, tens of thousands of protesters took to the streets to denounce the austerity measures and the bailout. “Urgent prayer” is needed for Ireland’s “politicians, national leaders, financiers and decision makers. They need our prayers and this country needs a praying people,” the bishop said. Banks that abuse the social contact and put short term greed above long term social and economic stability should lose their licences, the Archbishop of Armagh told the opening session of the Church of Ireland’s General Synod last week. Meeting at Christ Church Cathedral in Dublin on May 6, Dr. Alan Harper called for stricter regulation and supervision of the financial industry and for a return to probity and morality and banking. He warned that Britain and Ireland’s high street banks had become “morally compromised by association with the culture of investment banking”. If they abuse that trust and “do not perform in a socially responsible fashion” their “banking licenses should be revoked,” the archbishop said. “We cannot allow hard working people to be driven to the point of suicide by institutions parts of which those same desperate and distraught people actually own,” he said. The effects of the restriction in bank lending had been “disastrous” for small businesses bringing many close to collapse. “Punitive rates of interest” were being “demanded; banks are reducing overdraft facilities; asset-rich but cash-poor businesses are being starved of the cash required to enable them to trade, yet these same small and medium sized businesses are the backbone of the local economy,” he said. This had not been the case, Dr. Harper said, as the banking industry appeared not to have learned anything from the near collapse of the financial markets last year. To bring sanity to the financial system, “we require a completely new banking morality that takes full account of the social obligations of financial institutions and that insulates ordinary people and businesses from exposure to the risks of investment banking,” Dr. Harper said. Posted by geoconger in Archbishop of York, Church of England, Church of England Newspaper, Development/Economics/Govt Finances. The Church Commissioners have come to the aid of hedge fund managers, telling a parliamentary commission that “onerous” regulations proposed by the European Union to govern the financial services industry would harm British charities. To maximize its financial returns, “we must have freedom to select the best investment managers and funds,” they said. The six trusts have £19.5 billion in assets and spend £900 million each year. “To a bystander like me, those who made £190 million deliberately underselling the shares of HBOS, in spite of its very strong capital base, and drove it into the bosom of Lloyds TSB Bank , are clearly bank robbers and asset strippers,” Sentamu told an audience of bankers at Drapers’ Hall in the City of London on Sept 24, 2008. Dr Sentamu’s followed a call by the Archbishop of Canterbury for the government to adopt stringent regulations on the financial services industry and to ban short selling. “The question is not how to choose between total control and total deregulation, but how to identify the points and practices where social risk becomes unacceptably high,” Dr Williams wrote in the Spectator on Sept 27, 2008. Posted by geoconger in Anglican Church of Australia, Church of England Newspaper, Development/Economics/Govt Finances. The value of the Diocese of Sydney’s investments have fallen by more than half this past year due to the collapse of the global financial markets, Archbishop Peter Jensen reports in a parochial letter distributed to the diocese on June 7. The global financial crisis has taken a heavy toll across the communion, with many dioceses in the United States, Canada, and Australia reporting significant declines in investment and parochial income. “We have suffered very significant losses to our diocesan capital,” Dr. Jensen reported due to the leveraged investment strategy used by the diocese. “For several years now we have borrowed money to increase the amount invested,” he said, noting this had realized high returns in past years, and had permitted a “special” £10 million “distribution to help purchase land and build new churches” in 2007. Diocesan finances were now “stable,” with no debt and much of the diocese investment funds now held as cash. “But the losses remain,” he said, and would result in a restructuring of operations. Last week the Episcopal Diocese of Washington also reported that it would be cutting its £2.4 million budget by £250,000 due to a projected shortfall of contributions from its 93 congregations. A spokesman stated the diocese would begin staff cuts to cover the shortfall as well as reduce its contribution to the national church’s coffers by £80,000. Declining revenues and an aging church membership have strained most of the Episcopal Church’s dioceses. A March report released by the State of the Church committee for July’s General Convention estimated that 68 percent of the church’s dioceses were experiencing financial difficulties. 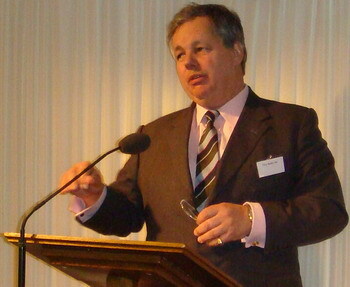 The British government’s decision to bail out the banking industry will likely lead to levels of inflation not seen in Britain since the 1980s, First Church Estates Commissioner Andreas Whittam Smith (pictured) stated in the Church Commissioners 2008 annual report released on May 12. Inflation fears follow a slump in property values and the sharp downturn in the global equity markets that shaved £1.3 billion pounds from the value of the Church of England’s investment funds in 2008. Posted by geoconger in Anglican Church of Southern Africa, Church of England Newspaper, Development/Economics/Govt Finances, Environment. Archbishop Thabo Makgoba has called upon the leaders of the G20 group of nations to take “swift and decisive action” on global warming, saying that recent deadly floods in South Africa, Namibia, Angola and Mozambique were evidence of a changing climate. Posted by geoconger in Archbishop of Canterbury, Church of England, Church of England Newspaper, Development/Economics/Govt Finances. Speaking in Cardiff on March 7, Dr. Rowan Williams offered an overview of the ethical challenges that governments faced in rebuilding the global capital system, and urged them to adopt free trade policies that would not freeze the developing world out of the recovery through protectionist trade policies. “It is a little too easy to blame the present situation on an accumulation of individual greed, exemplified by bankers or brokers, and to lose sight of the fact that governments committed to deregulation and to the encouragement of speculation and high personal borrowing were elected repeatedly in Britain and the United States for a crucial couple of decades,” he said. At its heart, “the origin of economic dysfunction and injustice” was “pride – a pride that is manifest in the reluctance to let go of systems and projects that promise more and more secure control, and so has a bad effect on our reasoning powers,” Dr. Williams said. Short term solutions, such as the adoption of protectionist policies to shelter domestic markets and industry was immoral, Dr. Williams said. Posted by geoconger in Anglican Church of Southern Africa, Church of England Newspaper, Development/Economics/Govt Finances. Affordable and secure housing has been one of the first victims in South Africa of the global economic crash, the Bishop of Pretoria reports. The whole of Southern Africa was caught in the grip of the financial meltdown, causing many to flee “their countries in search of employment and security.” The influx of economic refugees had led to “incidents of xenophobia” and contributed to the country’s rise in violent crime. Recent job cuts added to South Africa’s already high rate of unemployment have “forced breadwinners to move closer to places of work, placing an enormous strain on families, who have been split apart by hundreds or thousands of kilometers,” he said. He added that the diocese “recognised the importance of forming partnerships with the banking sector, in particular, and we have initiated dialogue to share views on ethical and social responsibility and corporate governance matters relating to investment. The British economy should balance a free market approach to private enterprise with state control of the production of goods and services, the Bishop of Liverpool told the BCSC conference. The “market is not God” Bishop James Jones told the 2,800 delegates attending the commercial property association meeting at the Liverpool Arena on Nov 11. “A balance between laissez-faire capitalism and the rule of the state is needed,” he said. The senior primate of the Anglican Communion, Archbishop Gomez steps down from office on Dec 31. In his final diocesan synod address he called upon lawmakers to forge a common front against the economic slump. Posted by geoconger in Anglican Church of Tanzania, Church of England Newspaper, Development/Economics/Govt Finances, Environment. Government mismanagement of Tanzania’s mining industry has led the despoliation of the land and a loss of £150 million in potential tax revenues, a report released by Tanzanian churches has charged. A report entitled “A Golden Opportunity? How Tanzania is failing to benefit from gold mining” released last week in Dar es Salaam, charged that tax concessions given to international mining conglomerates had cheated the people of Tanzania. The £150 million in lost revenues was a “very conservative estimate,” the report said, as it did not cover all gold mining concessions as well as the intangible costs of granting overseas mining concerns preferential tax treatment. While large-scale gold mining employed 7,135 miners and had led to lower production costs, it had come at the “expense of small-scale artisan miners, around 400,000 of whom have been put out to work,” the report said. Posted by geoconger in Church of England Newspaper, Development/Economics/Govt Finances, Mission Societies/Religious Orders, Scottish Episcopal Church. Government ‘red tape’ may force a community of Anglican nuns to quit their convent in the Shetland Islands. The Society of Our Lady of the Isles (SOLI) on Fetlar has threatened to move after plans for a new convent were blocked by local government officials. The only religious community founded in Scotland during the 20th Century, SOLI began in 1982 when Sister Mary Agnes, a Franciscan nun from England, moved to the Shetlands and lived as a solitary for five years. In 1988 she founded the Society, which now has four members. In recent years SOLI has flourished and has run a successful retreat programme, and the nuns have sought to expand their convent and build a larger chapel. Planning permission for the expansion has not been granted, forcing the nuns to contemplate closing their convent. From a peak of a 1000 in the mid-Nineteenth century, Fetlar’s population has declined to 86 as of the 2001 census. The threat to close the convent would pose a economic challenge to the island’s already depressed economy, local leaders said. SOLI had “quietly attracted a sizeable number of visitors to Fetlar over the years. These visitors stay for some time, use local facilities, and contribute considerably to the local economy. SOLI has been both efficient and successful in what it has done, and attracts ever more visitors seeking a genuine retreat from an ever more stressful world outside,” he said. Posted by geoconger in Church of England Newspaper, Civil Rights, Development/Economics/Govt Finances, Episcopal Church of the Sudan. The Jamaica Tourist Board has announced plans to make the Caribbean island nation a religious tourism destination. At a meeting with church leaders on Jan 28, Tourism Minister Edmund Bartlett unveiled a building programme that includes a 5000-seat convention centre to attract religious groups to the island. Religious travel and tourism was one of the fastest growing segments of the holiday industry Bartlett said, and was an untapped market for the island. Of America’s 450,000 churches, over 50,000 ran church travel programmes he said. Church youth, missionary and fellowship groups were the most frequent flyers. “The destinations range from Israel, which has the highest incidence of tourism travel, to the Caribbean, Europe, Africa and others. Missionary work is a big area of travel in the religious fraternity, with Africa and India being the largest recipient countries,” he said. Youth groups usually visited countries where they could participate in charitable community based projects—which would be an added benefit for the Jamaican economy, he said. The Anglican Church in Jamaica has applauded the drive to attract religious groups to the island and pledged its cooperation to the initiative. The 2009 meeting of the Anglican Consultative Council is already scheduled for Montego Bay and may be one of the first beneficiaries of Jamaica’s expanded tourist infrastructure. Posted by geoconger in Church of England Newspaper, Development/Economics/Govt Finances, Hymnody/Liturgy, The Episcopal Church. The Episcopal Church’s charitable arm, Episcopal Relief and Development (ERD) has released a liturgy to encourage American Anglicans to focus their Lenten devotions upon the Millennium Development Goals (MDGs). The liturgy “Stations of the MDGs” is “designed to be used during Lent in lieu of the traditional Stations of the Cross service,” Luke Fodor, the Network Coordinator at the Office of Church Relations at ERD said in an email. Adapted from a template prepared by Mike Angell of the Office of Young Adult and Higher Education Ministries at the Episcopal Church Center in New York, the liturgy takes the worshipper through eight stations of the MDGs, each signifying one of the goals of the 2000 UN programme to eradicate poverty in the developing world. Pilgrims then recite the Baptismal covenant found in the American Book of Common Prayer and then move through each of the eight stations as leaders give reflections how the worshipper might help: eradicate extreme poverty and hunger, achieve universal primary education, promote gender equality and empower women, reduce child mortality, improve maternal health, combat HIV/AIDS, malaria, and other diseases, ensure environmental sustainability, and create a global partnership for development. After the worshippers have passed through each of the stations of the MDGs, they are gathered together by the celebrant who then says, “Let us repeat together and commit ourselves to the Millennium Development Goals.” To which the congregations replies, “As Christians we commit ourselves to God’s Mission as we work to” bring about the eight goals. In 2003 the Episcopal Church endorsed the MDGs and at its General Convention in 2006 voted to make the MDGs a mission priority for the church. Posted by geoconger in Church of England Newspaper, Development/Economics/Govt Finances, House of Lords. The Bishop of Liverpool questioned the government last week on its efforts to implement provisions of the Millennium Development Goals, and asked if it would support international treaties to manage fresh water resources. The Minister of State for Africa, Asia and the UN at the Foreign Office, Lord Malloch-Brown responded the government had “no immediate plans to accede” to the treaty as only 16 nations had so far endorsed it. “With 35 countries required, there is little prospect of the convention entering into force,” he said. Notwithstanding its failure to garner support, Lord Malloch-Brown said “its principles are widely applied.” The government had implemented water-sharing processes in the Middle East and Africa and would pursue this work independently of the UN convention. Lord Malloch-Brown agreed that Bishop Jones had raised “an important point” and assured him the government would draw the attention of the Bali conference on the environment to this issue. The Bishop of Newcastle has urged the Treasury not to break up the Northern Rock, but to find a single buyer to take over the ailing financial institution. The Newcastle-based bank has been forced to borrow £25 billion from the Bank of England over the past two months to stave off insolvency. Northern Rock is weighing rival bids from a consortium led by the Virgin Group and the investment firm Olivant for its assets. A final deal is unlikely before the New Year, Northern Rock Chairman Bryan Sanderson said. Moving British jobs overseas “flies in the face” of the Christian principles of the founders of Cadbury Schweppes, the Bishop of Bath and Wells said on Monday. Bishop Peter Price has joined union leaders and local politicians in protesting plans to close the chocolate factory in Keynsham and move its operations to Poland. “Decisions made on the basis of seeing human beings simply as units of production is destructive to the human condition, and flies in the face of the Quaker principles of the founders of the Cadbury Schweppes empire,” Dr. Price said. On Dec 8, workers staged a protest march through Keynsham, angered by plans to phase out production of Crunchie, Fudge and Turkish Delight at the factory by 2010. Cadbury and the Unite union are in talks over future plans. However, union organizer Brian Revell charged the decision to shift production overseas was “driven by short-term profit gain. “Not only is it environmentally-unsound and commercially questionable, but it will devastate the local community,” he told Saturday’s rally. However, “those made redundant stand an excellent chance of finding high quality jobs elsewhere. Sadly, while a strong economy can never stop companies making redundancies in a competitive global market, a strong economy does give people the best possible chance of finding new work,” he said. Posted by geoconger in Anglican Church of Aotearoa New Zealand & Polynesia, Anglican Church of Melanesia, Church of England Newspaper, Development/Economics/Govt Finances. THE DEFENCE Minister of New Zealand has introduced a private member’s bill in that country’s parliament to grant permanent tax exempt status to the Melanesian Mission Trust. Chartered in 1862 by Bishop George Selwyn of New Zealand and Bishop John Coleridge Patteson of Melanesia, the trust’s original endowment of a 150 acre farm has grown in value to £80 million. Approximately £2.5 million is generated by the trust each year and provides almost all of the income of the Church of the Province of Melanesia in the Solomon Islands. Posted by geoconger in Anglican Church of Rwanda, Church of England Newspaper, Development/Economics/Govt Finances, Lambeth 2008. ARCHBISHOP Emmanuel Kolini has welcomed Rwanda’s accession to the East African Community (EAC) treaty, saying the free movement of goods, capital and people across national borders will be a social and economic boon to the region. Speaking at the start of a three-day peace crusade for Anglicans from the EAC countries at St Peter’s Church in Remera on Dec 2, Archbishop Kolini said the removal of boundaries between communities was of paramount importance in building up the people of God. The EAC was a ‘blessing,’ he said, lauding the Rwandan government’s success in gaining access to the community. Immoral banking practices lay behind the credit crunch confronting Britain, the Bishop of St Albans told the House of Lords on Nov 14. Speaking in response to the Northern Rock banking crisis, Bishop Christopher Herbert called for a fresh approach to restoring damaged trust in the banking industry. Lending money to customers who “are not really aware of the risks they are taking,” was financially and morally unsound, he said. “Woe to you who join house to house, field to field, until there is room for no one but you,” Bishop Herbert reminded the Lords, citing Isaiah 5:8. Press and political comments about the Northern Rock crisis had missed the “much bigger issues concerned with the probity of institutions. It misses those situations that are about the moral relationship that exists between trust and risk and reward; about the moral accountability of those who have financial control over the most vulnerable; and about the morality of a society in which the gap between rich and poor remains achingly large,” he said. While such an approach may appear “a touch academic and self indulgent” it would go a long way towards restoring confidence in the “financial rectitude” and moral probity of the banking system, Bishop Herbert said. Posted by geoconger in Church of Ceylon, Church of England Newspaper, Development/Economics/Govt Finances, Politics. THE SYNOD of the Diocese of Colombo has pledged itself to follow the path of Christian Socialism and create ‘a synthesis between the teachings of Jesus and Karl Marx’(pictured) in its mission and ministry. Meeting on Oct 19 in Colombo, the diocese’s annual council endorsed a resolution put forward by the Rev SDP Selvan of St. Matthias Church in Thanneerootu and backed by the Bishop, the Rt Rev Duleep de Chickera that called for a ‘paradigm shift’ in mission and ministry. The Bishop of Coventry, the Rt. Rev. Colin Bennetts has urged the government to support credit unions as a tool to promote thrift and broaden the access of low income wage earners to banking services. Posted by geoconger in Church of England Newspaper, Church of the Province of West Africa, Development/Economics/Govt Finances, Global South. The Gospel of Jesus Christ speaks not only of personal transformation, but of economic empowerment and community development, a gathering of Church leaders in Ghana stated last week. Representatives from nine Provinces gathered in Accra from Sept 19-22 for the second Global South Economic Empowerment Consultation. Delegates from the Congo, Indian Ocean, Jerusalem and Middle East, Kenya, Nigeria, South East Asia, Uganda, Papua New Guinea and West Africa along with speakers from the UK, US, Tanzania and Kenya, and conference secretary Bishop Martyn Minns of CANA released a statement calling for the Church to develop the human capital found in the developing world. Business education and managerial training were essential tools for the transformation of the developing world, they argued. The consultation “developed specific action plans for Economic Empowerment for each Province represented” and called for the creation of “Peer Review Teams” to bolster oversight of the church’s economic redevelopment programs. “We have gathered in Ghana, formerly the Gold Coast, as this nation celebrates fifty years of independence as a sovereign state after its years as a colonial territory of Great Britain,” the consultation stated. “At the time of independence there were high hopes for freedom and prosperity that are only now beginning to be realized,” they added, commending market-driven models of economic development that break with the failed policies of the last century that had squandered much of the continent’s resources. Posted by geoconger in Anglican Church of Rwanda, Church of England Newspaper, Development/Economics/Govt Finances. The Bishop of Byumba in rural northeast Rwanda, reports his diocese has begun a goats for God programme, donating over 1000 goats and 200 dairy cows to rural communities to help them become economically self-sufficient. Bishop Onesphore Rwaje, Bishop of Byumba and Dean of the Province of Rwanda stated “our church as a vision for holistic development,” and had purchased the livestock “to stamp out hunger” and ensure “food security.” The church was also engaged in teaching rural villagers about scientific farming, to help improve crop yields and reduce soil erosion and deforestation. The Rwandan project is modeled upon the work of western charities such as Heifer International of the United States, and Send a Cow in Britain. Chartered in 1998 by West Country farmers, Send a Cow is a Christian charity that gives African farming families agricultural implements and livestock: cattle, goats, sheep, bees, rabbits, and donkeys. In return, the farm families promise to give the first female calf to another poor family. The cow and other livestock provide milk and other products to consume and sell, as well as manure to fertilize the soil. In the 19 years since it started, ‘Send a Cow’ has helped thousands of people across Uganda, Rwanda, Kenya, Ethiopia, Zambia, Tanzania and Lesotho and has grown from an annual turnover of £500,000 to £5.4 million. “By giving them the start in life they need, they have access to a healthy diet and the ability to generate an income to pay for such essentials as better housing, education for children and healthcare,” he said. Posted by geoconger in Anglican Church of Southern Africa, Church of England Newspaper, Development/Economics/Govt Finances, EU, NGOs. THE PRIMATE of Southern Africa has called upon the European Union to live up to its promises of support for the Millennium Development Goals (MDGs). Archbishop Njongonkulu Ndungane also urged Africa to honour its commitment to tackle poverty and called upon the continent’s political leaders to make good their pledges of support for the poorest of the poor. Posted by geoconger in British Foreign Policy, Church of England Newspaper, Development/Economics/Govt Finances, Scottish Episcopal Church. The Scottish Episcopal Church has joined the Archbishop of York and other church leaders in applauding Prime Minister Gordon Brown’s call for greater international efforts to combat global poverty. The Church in Society Committee of the SEC applauded the Prime Minister’s July 31 speech to the UN in an Aug 3 statement. “As a Christian community, we are committed to a Gospel message of care and support for the most vulnerable of our brothers and sisters,” the committee said. Posted by geoconger in British Foreign Policy, Church of England Newspaper, Development/Economics/Govt Finances, EU, House of Lords. The Bishop of Norwich has urged the government not to abandon its obligations to the Commonwealth by subordinating British trade policy to the EU. Speaking during a Lords debate on the Commonwealth on July 18, Bishop Graham James argued EU trade negotiations with the developing nations of Africa, the Caribbean and the Pacific (ACP) were skewed in favor of the West. “I know well that the teaching in the Sermon on the Mount is that the poor are blessed, but we do not increase their blessing by making them poorer,” he said. Keeping a “high doctrine of the Commonwealth” could prevent impoverishing its members during the current round of trade talks. Harkening to the 1926 Imperial Conference which stated the Commonwealth countries were those “autonomous communities within the British Empire, equal in status, in no way subordinate one to another in any aspect of their domestic or external affairs,” Bishop James stated this was the “spirit” which continued to animate the Commonwealth. “It is an extraordinary ideal to live up to, one that is not exactly easy when member states vary so much in economic power, resources and wealth,” he said. “How does our part in this EU process reflect our Commonwealth aspiration[s],” Bishop James asked the government. Last month the Anglican Church of Kenya called upon its government to reject an Economic Partnership Agreement (EPA) between the EU and Kenya, saying free trade with Europe would not be fair trade. “Trade should be at the service of people and not for profit,” the Kenyan church said. “Hence trade policies should enhance people’s livelihoods through the protection of human rights. It is for this reason that we the church representatives affirm the principles of justice, equity and protection of human rights. These principles should guide any trade policy making and agreements,” they said. Posted by geoconger in Anglican Church of Melanesia, Church of England Newspaper, Development/Economics/Govt Finances. THE SOLOMON Islands face an uncertain future in the wake of recent political unrest and April’s Tsunami, the Anglican Bishop of Malaita, Dr Terry Brown told the Australian Centre for Peace and Conflict Studies at the University of Queensland last month. Churches and a small but growing civil society can help the country mature into a stable self-sufficient democracy, Dr Brown (pictured) said, but it first had to overcome a number of formidable obstacles. Posted by geoconger in Anglican Church of Kenya, Church of England Newspaper, Development/Economics/Govt Finances, EU. The Anglican Church of Kenya has called upon its government to reject an Economic Partnership Agreement (EPA) between the EU and Kenya, saying free trade with Europe would not be fair trade. Representatives of Kenya’s Anglican, Roman Catholic, Presbyterian, Reformed, Independent and Pentecostal churches urged the government to rethink the trade treaties brokered under the 2000 Contonou Partnership between the EU and the less developed nations of Africa, the Caribbean and the Pacific. “EPAs have turned out to be free trade agreements, which can have a detrimental effect on the Kenyan economy,” the Churches warned. Free Trade with the EU would undercut Kenya’s exports to other African nations, and would “undermine our government’s national development plans” by weakening Kenya agriculture. Government tax revenues would also be threatened by the removal of import tariffs on EU goods, as well as reduced tariff collections on domestic agricultural production. The churches urged the Kenyan government to study the social and economic consequences of an EU free trade agreement, and its potential impact upon Kenyan society. “Trade should be at the service of people and not for profit. Hence trade policies should enhance people’s livelihoods through the protection of human rights. It is for this reason that we the church representatives affirm the principles of justice, equity and protection of human rights. These principles should guide any trade policy making and agreements,” they said. Posted by geoconger in Anglican Church of Southern Africa, Development/Economics/Govt Finances, Living Church. The pan-Anglican congress of lay and ordained leaders from across the Anglican Communion will take place in March 2007 outside Johannesburg, South Africa, the Primate of Southern Africa, Archbishop Njongonkulu Ndungane, told a Feb. 2 news conference in Cape Town. Lay and ordained leaders from across the 38 provinces of the Anglican Communion will be invited to participate in the gathering, titled “Towards Effective Anglican Mission: An International Conference on Prophetic Witness, Social Development and HIV/AIDS,” or TEAM. Speakers at the Cape Town press conference said they hope to redirect the Anglican Communion’s energies away from the debates on human sexuality toward “things that really matter.” Organizers for the pan-Anglican congress also hope the Archbishop of Canterbury will attend and that lessons learned at TEAM will provide background material and information for the 2008 Lambeth Conference. The Rev Canon Gregory Cameron, deputy general secretary for the Anglican Consultative Council, told The Living Church last month his office had been “offering advice and suggestions,” but the ACC was not involved in any official capacity with the TEAM congress. The members of the TEAM Steering Committee include: The Most Rev. Njongonkulu Ndungane, Archbishop of Cape Town; the Rev. Canon George Brandt, rector of St. Michael’s Episcopal Church, New York City; Jean Duff, managing director, Center for Global Justice and Reconciliation at Washington National Cathedral; the Rev. Canon Brian Grieves, staff director for peace and justice ministries at the Episcopal Church Center; the Rev. Canon Desmond Lambrechts, director of programmes, Church in the Province of Southern Africa HIV and AIDS office; the Rev. Canon Harold T. Lewis, rector of Calvary Church, Pittsburgh, Pa.; Delene Mark, CEO of H.O.P.E. Africa; Lyndon Metembo, projects facilitator, H.O.P.E. Africa; Esther Mombo, academic dean, St. Paul’s Theological College, Limeru, Kenya; the Rt. Rev. 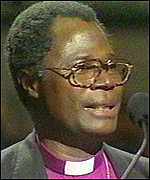 Trevor Mwamba, Bishop of Botswana; the Very Rev. June Osborne, dean of Salisbury Cathedral, England; Jenny Te Paa, dean of St. John’s College, Auckland, New Zealand; the Rev. Canon John L. Peterson, director, Center for Global Justice and Reconciliation at Washington National Cathedral; Canon Diane Porter, deputy for episcopal administration, Diocese of Long Island; the Rt. Rev. Johannes Seoka, Bishop of Pretoria; the Very Rev. Colin Slee, dean of Southwark Cathedral, England; Sizakele Shongwe, orphans and vulnerable children programme, Diocese of the Highveld, South Africa; and the Rt. Rev. Orris G. Walker, Bishop of Long Island. A group that includes bishops, rectors and canons from the Episcopal Church has agreed to work in a partnership to organize and secure funding for a pan-Anglican congress in Cape Town, South Africa, in 2007. Sponsored by the Primate of Southern Africa, Archbishop Njongonkulu Ndungane, the 2007 gathering is modeled on a proposal developed by the Anglican Consultative Council (ACC) for a meeting that was to have been held concurrently with the 2008 Lambeth Conference. That gathering, also scheduled to be held in Cape Town, was cancelled due to lack of funds. Bishop Walker said that Archbishop Ndungane had also invited the Bishop of Washington, the Rt. Rev. John B. Chane; the Rev. Canon John L. Peterson, former ACC secretary general and now canon for global justice and reconciliation at Washington National Cathedral; the Rev. Canon George W. Brandt, Jr., rector of St. Michael’s, New York City; the Rev. James Cooper, rector of Trinity Church Wall Street; the Rev Canon Harold T. Lewis, rector of Calvary Church, Pittsburgh; the Rev. Canon Frederick Boyd Williams, rector of the Church of the Intercession, New York City; and Canon Diane M. Porter, deputy for Episcopal administration in the Diocese of Long Island. The “scope, attendance, venue” and dates of the pan-Anglican Congress will be determined at a planning committee meeting in Cape Town at the end of January, said Canon Lewis. Funding issues also remained to be finalized, according to another member of the team. The 2007 Cape Town congress would become the fourth Communion-wide assembly of lay and ordained leaders. Previous Anglican Communion events occurred in London in 1908, Minneapolis in 1954 and Toronto in 1963. 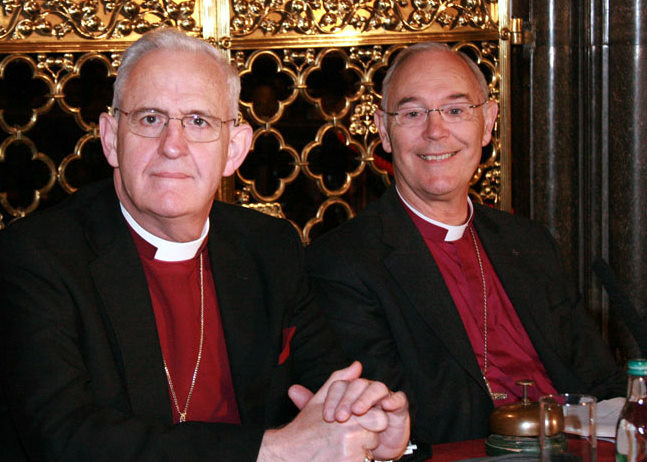 However, in December 2004, a “Lambeth Conference Design Group” appointed by Archbishop Rowan Williams recommended canceling the congress, and holding the Lambeth Conference in Canterbury. “Funding constraints” prevented a 2008 gathering according to the Rev. Ian Douglas, who is professor of mission and world Christianity at the Episcopal Divinity School and a member of the design group. Posted by geoconger in ACC 13, Development/Economics/Govt Finances, Living Church. The resolution commended the work of Episcopal Church’s Social Responsibility in Investments (SRI) Committee, a part of Peace and Justice Ministries program, for study and review by the wider Communion. A motion to strip “the Episcopal Church” from the resolution, replacing it with a generic phrase commending the work of all churches in this area, failed to attract a seconder. The softening line towards the Episcopal Church by the ACC delegates represents a general belief among Global South delegates that the “North American issue” has been settled and it is time to move on. After the vote, the Rt. Rev. Catherine S. Roskam, the Suffragan Bishop of New York and one of three unofficial observers to ACC-13 from the Episcopal Church said she was pleased the delegates were able to put aside partisan bickering and work on issues important to the whole Communion.